The aim of the programme is to deliver new schools in rapidly developing areas to ensure the needs of the continuously growing community will be met and school places are available to those in that growing community. The schools are delivered by way of Public Private Partnership (PPP) arrangements. 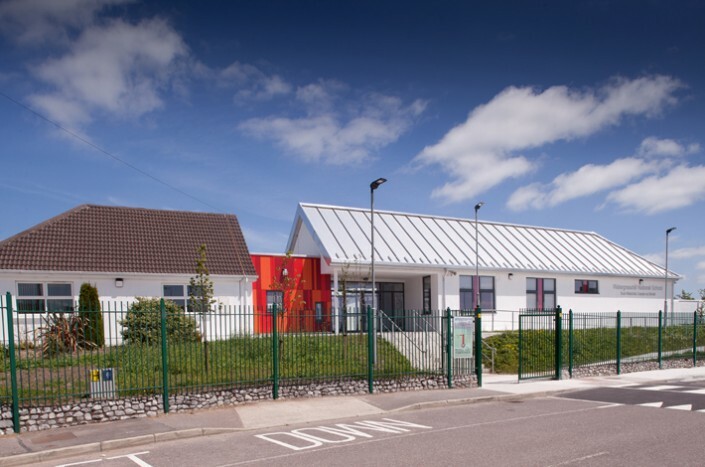 These schools were delivered by Noel Lawler Consulting Engineers in conjunction with JJ Rhatigans. 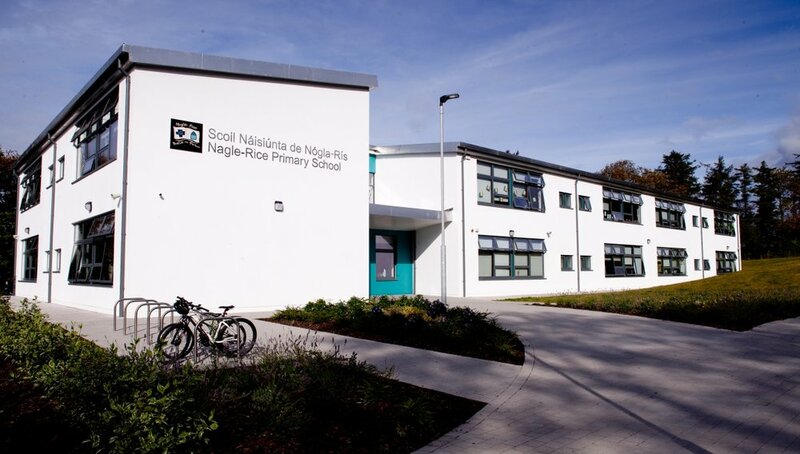 Nagle Rice Primary School was one of six schools in the NDFA Schools Bundle which Noel Lawler’s won a bid for. 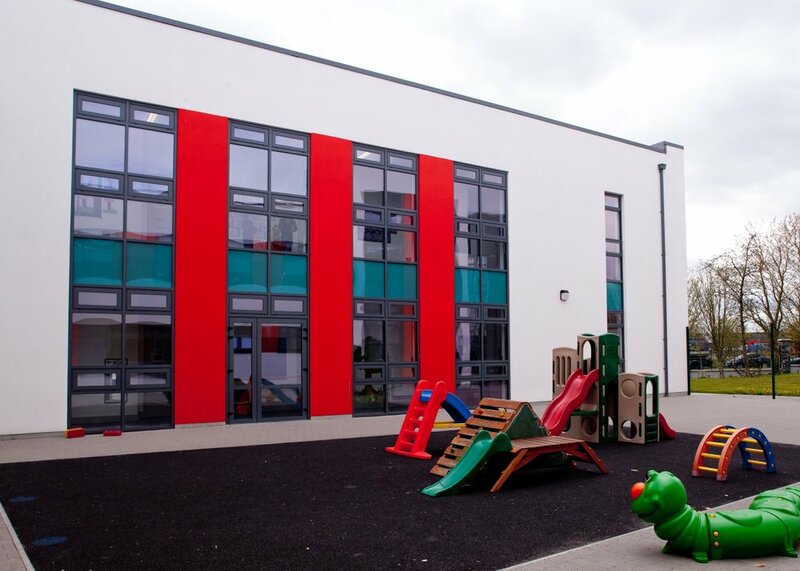 This school is located in Killarney and has brought together what was two desperate school buildings to become one. This new building is 2 storey and accommodates 12 classrooms, a library, a sports hall and a number of offices and toilets. 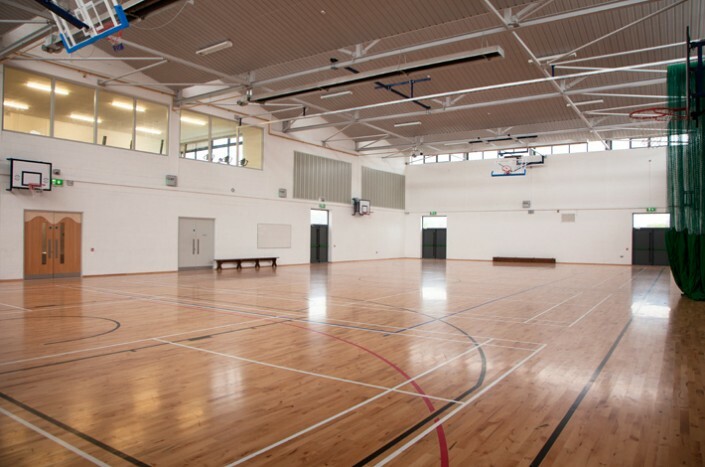 The area surrounding the school has also been fit out with multi-purpose sports courts, car park and drop off area. 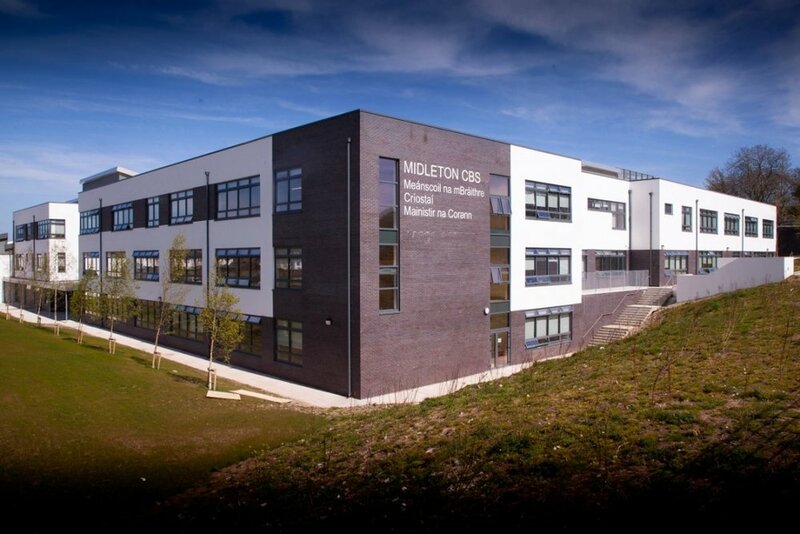 Watergrasshill was awarded an extension of a building to facilitate 7 new classrooms, a GP Room and Special Needs Unit. Noel Lawler Consulting Engineers also completed designs for external works and lighting. Ball courts and a car park were too inlcuded in this building extension. Watergrasshil Primary School is located in Co. Cork. This school was built to replace to replace an already existing school in close proximity. The old school remained fully functioning while the construction at the new site took place. The new school is a two storey building with 12 classrooms, offices, library and general purpose rooms. Enclosed in the centre of the building is a soft play area for the children to spend their lunch times. 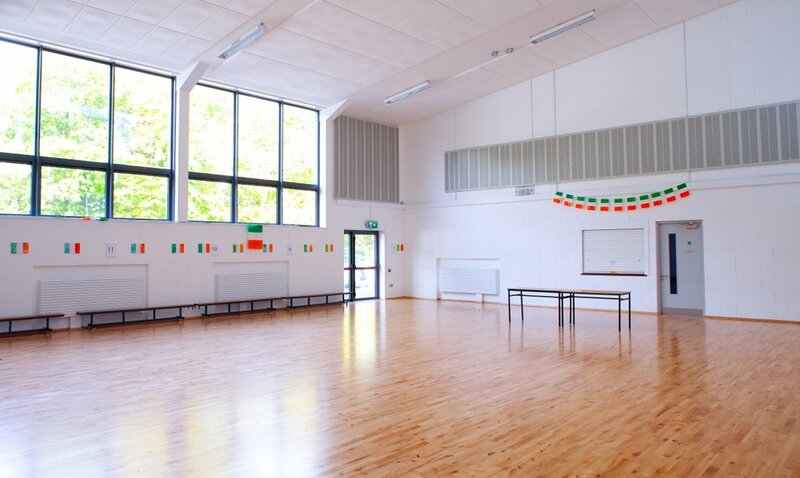 This Co. Cork school is a part of the NDFA School Bundle 3. 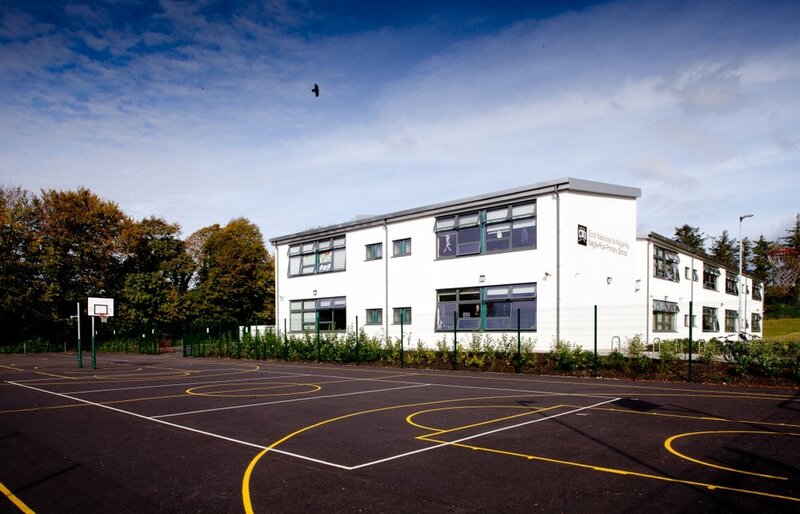 This project consisted of a large extension with a sports hall, external play areas and staff parking. The existing building was refurbished with change of use in many rooms. All of this was undertaken within school hours with over 600 students on site. The M&E design achieved an A3 BER Rating which demonstrated a robust sustainable design. 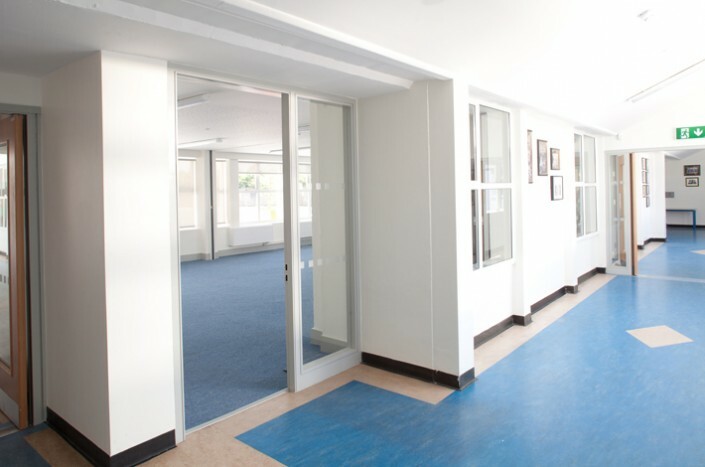 Features that contributed to this sustainable building was daylight harvesting, biomass provision and full natural ventilation in teaching spaces, corridors and offices. Similar to Galvone, this Presentation school was built close to the old building which was afterwards demolished. 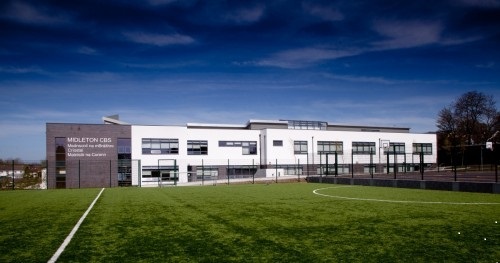 This new 2 storey school was built to cater for 600+ students with 24 general classrooms, science, computer, lab & art rooms, as well as a large sports hall. Also staff rooms, offices and toilets were also included in Noel Lawler's Mechanical and Electrical Designs. The existing school again was fully functioning while this new school was developed. 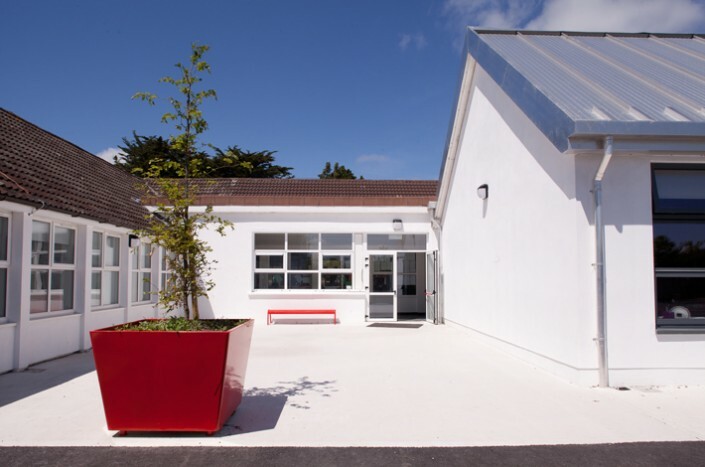 This school was the smallest of the six, incorporating only a small 4 room extension to one side of the existing school. 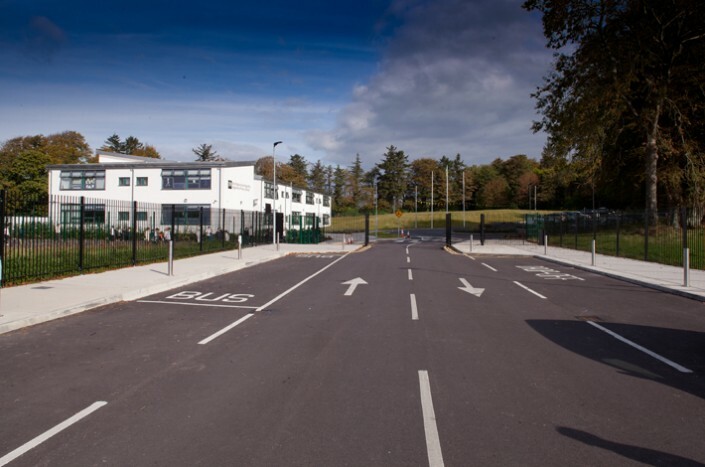 Noel Lawler Consulting Engineers provided full Mechanical and Electrical works to this small extension and all relevant external lighting to the new drop off/car park area and ball courts.